I am going straight to Mirkwood for two reasons. 2. The Mirkwood adventures are the point in the story where Bilbo’s transformation becomes so evident as to be undeniable. 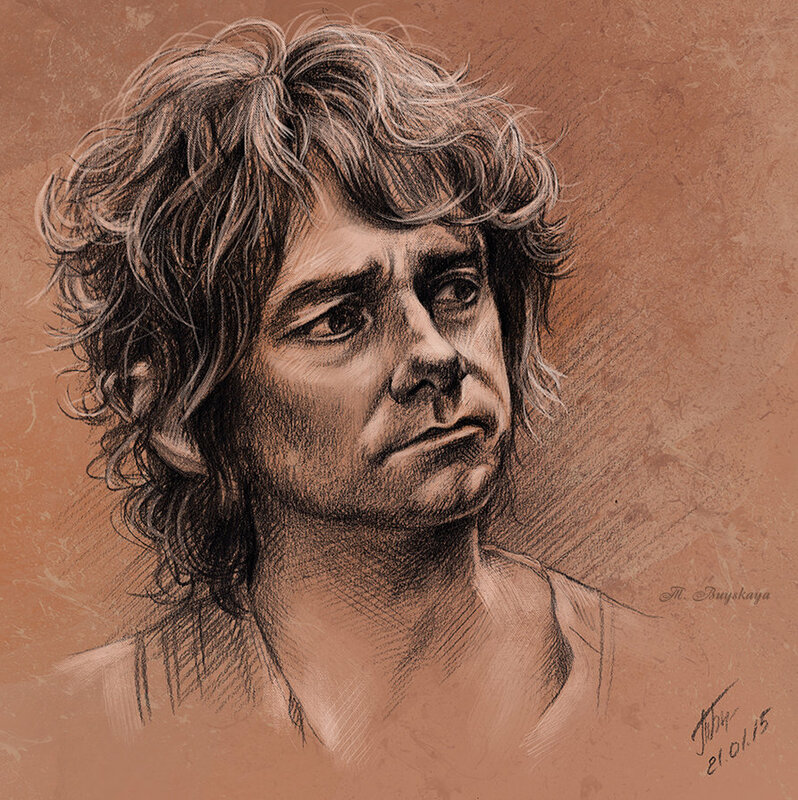 In “Riddles in the Dark,” Bilbo is not much different than he was when he left Hobbiton. Bilbo walks into Mirkwood a Hobbit who’s been roped into an adventure by Gandalf and the Dwarves regard him as little more than baggage for most of the early journey. He pops out of his barrel in Laketown out a more confident adventurer and, to Thorin and Company, a respectable professional burglar. It’s impossible to understand Bilbo without understanding these chapters. So, these are a doubly-important chapters. Add in the fact that they’re also complex, and they require a bit of setup before we dive into the reading. Here is a brief summary of significant plot points prior to the Mirkwood chapters and a few things to look out for once I start on the texts in the next installment. There are several threads to follow here. I’ll list them today and discuss them in the next couple of posts. Bilbo’s interactions with the spiders show him to be both clever and capable of being calm in a desperate situation. The Dwarves’ interactions with Bilbo clearly indicate by the end of these chapters that they are see him in a new light. Bilbo deals well with being left to his own devices once the Dwarves are captured, and finally orchestrates their escape. Bilbo’s explanation of the Ring and his power of invisibility to the Dwarves is interesting. Tolkien’s depiction of the Wood Elves in The Hobbit a bit different than his depictions of Elves in LOTR. Elven history and culture was not quite settled yet when the final manuscript of the Hobbit was produced, so there is more of Faerie in the Elves of The Hobbit than there is Tolkien’s later work. I’m at 800 words already, so, not enough room to read any passages today. Do tune in next week! Our friends over at Write On! Sisters have been talking about what makes a good heist story recently. I think it would be an interesting and not-very-difficult thing to do to read the Hobbit as a heist caper. 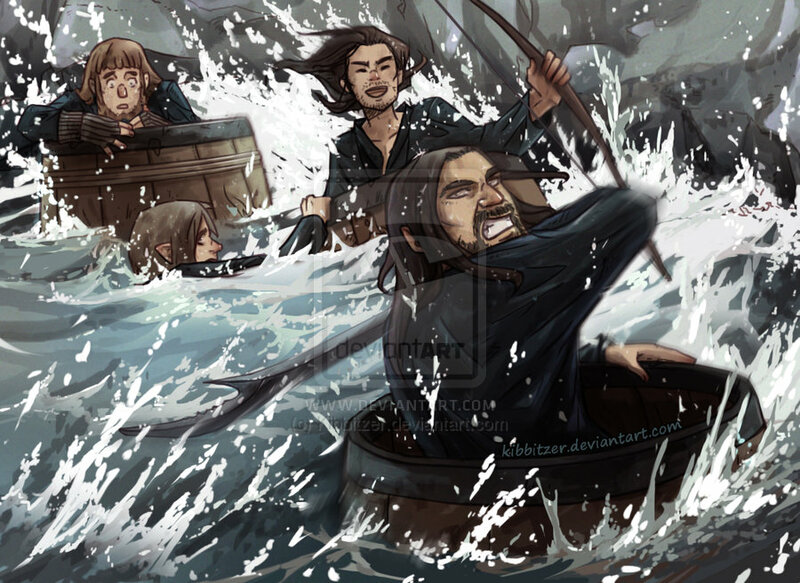 I wonder how Thorin and Co. would shake out if you look at them as a heist crew. I won’t say I will never get around to this because I love the idea just that much. But it certainly isn’t happening this year. So feel free to borrow it, and drop us a link if you do. 1. “The Unexpected Party” is Chapter 1 in The Hobbit, pp 15-39.”Riddles in the Dark” is Chapter 4, pp. 76-95. 2. Chapters 8 and 9 in The Hobbit, pp. 140-182. 3. The date is from “The Tale of Years,” Appendix B in The Return of the King, p. 366. 4. The relevant passage is near the end of “Riddles in the Dark,” p. 92. 5. “Out of the Frying-Pan into the Fire,” and “Queer Lodgings,” respectively. pp. 96-139. This entry was posted in Books, Gene'O and tagged Books, characters, essays, fantasy, fiction, J.R.R. Tolkien, literature, pop culture, popular culture, stories, Tolkien by Gene'O. Bookmark the permalink.